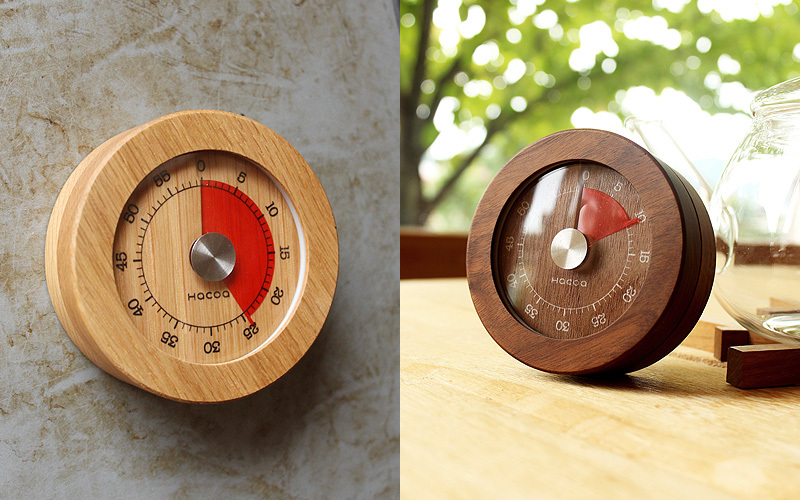 With ticktack sound of analog clockwork, this wooden kitchen timer has a nostalgic atmosphere. 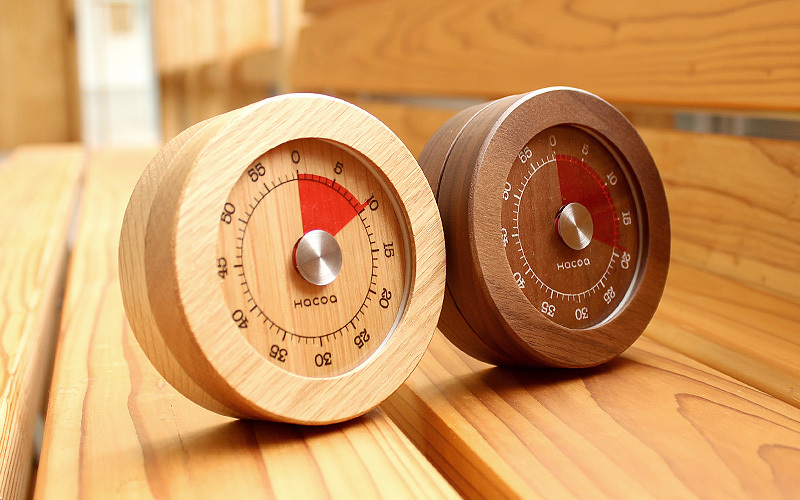 The classic bell sound is ear-catching, and the remaining time shown in red on wooden dial adds retro feel on your kitchen counter. 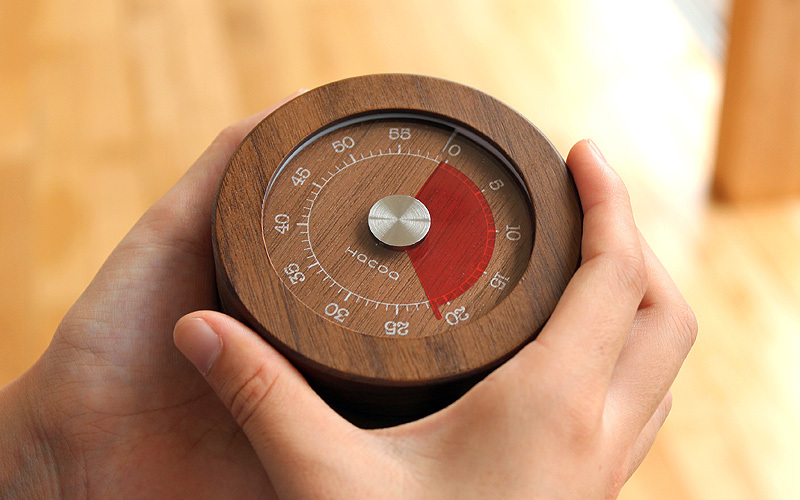 It has a magnet on the back and can be stuck on your refrigerator.